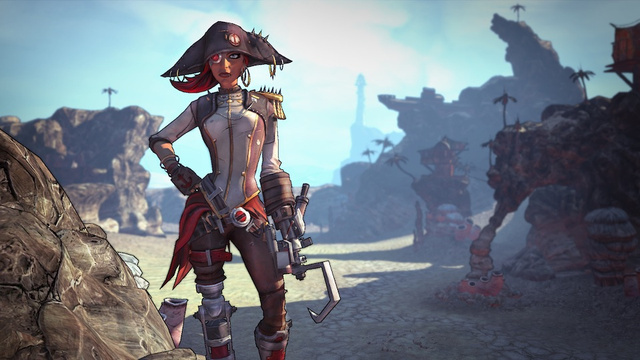 Gearbox has announced today that the first of four announced DLC packs for Borderlands 2 will be released next Tuesday for Xbox 360, PlayStation 3, and PC. Titled ‘Captain Scarlett and Her Pirate's Booty’, the pack will feature new a locale called Oasis, new guns, pirate-based enemies, and a new vehicle to utilize called the sand skiff. The pack will cost $10 on each platform, which comes included into the Season Pass if you purchased the pass, which is still available for $30. Buying all four announced packs will set you back $40, so the pass will save you money if you plan on playing Borderlands 2 down the line.